I wanted this game for a long time. I remember watching the trailer when it came out and thinking that the fox looked incredibly cute. To be honest that was the only reason I wanted to game. I picked it up thanks to the 10% off Sony had going on.. I liked the art style. I liked that it was fully co-op so that I got to play it with Martin. I liked that I played a game where I actually got attacked by the Northern Lights. I found the game very easy. Apparently it is a little more difficult in single player because the AI is a little wonky. Obviously I didn’t encounter this! I disliked the evolution of the fox. It just made me feel a little bit weird. I disliked that Never Alone made me aware of the PS4 glitch that when you download two or more games at the same time sometimes the console gets confused and unlocks trophies for different games. I 100% the game and when I went and checked my list to sync, Never Alone wasn’t even in the list. After that I realised that it had actually unlocked trophies for Game of Thrones Episode Two. So now I have no trophies for the game. 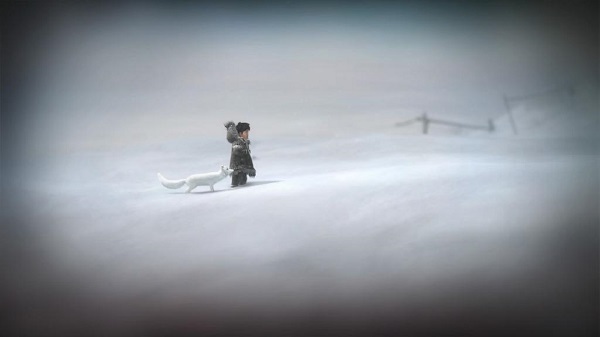 I guess this isn’t exactly Never Alone’s fault but it still tarnished my experience. ← Game 4: Game of Thrones Episode One.